When is the best time to travel to Burma? 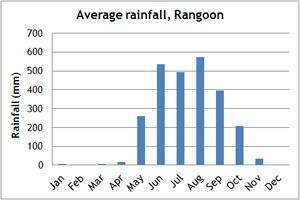 Our climate charts will give you a guide to the weather conditions in Burma.The months between November and February are considered the prime time to visit Burma when both temperatures and rainfall are at their lowest and all regions and attractions are accessible and open. 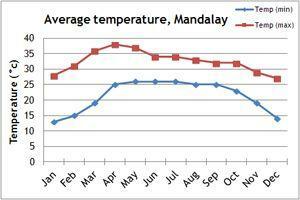 However, even during these months, daytime temperatures will be around 30 degrees centigrade, with Bagan and Mandalay a few degrees higher then other parts of the country. 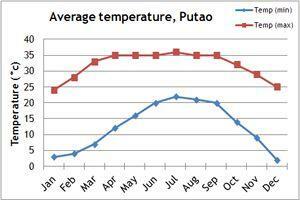 The months of March to May are very hot, with daytime temperatures about 40 degrees. 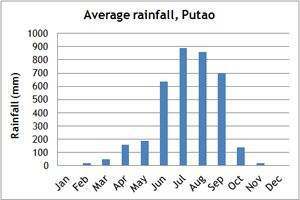 It is also possible to visit during Burma’s ‘Green Season’ (June to September). 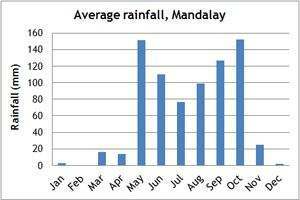 In these months, temperatures are typically higher than the main tourist season and rainfall is considerably higher with short intense bursts of rain likely at any time. However, travel around the country during this time of year is still popular and all of the major sights can still be seen and enjoyed – although it is advisable to make the most of the relatively cooler temperatures early in the morning or later in the day for sightseeing and other activities. Some areas such as Ngapali Beach, are closed during these months. 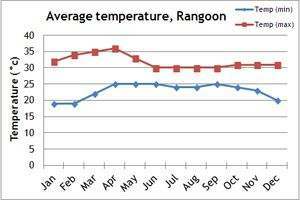 As expected, temperatures at higher altitudes, in the hill country and the Burmese Himalaya, are generally lower than the lower plains. If you can't make the dates of our group departures, then take a private departure on dates to suit you, or we can create a Tailor Made holiday to Burma, especially for you and your family or friends.